Going by your gut isn’t good enough. In business, you need to really know what you’re doing if you want to succeed. For example, field service companies regularly send their employees to the locations of their customers. Those field employees need to be given routes that show them how to travel from customer to customer. A field service manager could just look at a map and come up with the routes on their own. It might take a while, but anyone can figure out some way to get from Point A to Point B. Route planning is complicated, though. There are many factors involved, including traffic, weather, construction, customer availability, and much more. It’s so confusing that you won’t be able to design the most efficient routes manually. That means you’ll end up using more time and fuel than necessary to complete your routes. And there’s a good chance that the routes you create by hand will be inaccurate, which will delay your field employees and upset your customers. That’s why you need a route planner. 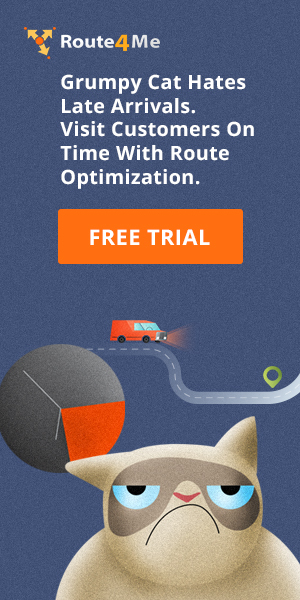 Route planners use optimization engines that analyze millions of possible scenarios in order to find the best possible route. Also, it only takes 30 seconds for a route planner to generate an optimized route for you. All you need to do is plug in the addresses you want to visit, set the constraints (number of drivers, acceptable time window for each customer, etc. ), and then you’re good to go. Of course, optimized routes won’t do you any good if your field employees don’t actually follow the routes you give them. Are your field employees sticking to their routes and staying on schedule, or are they slacking off on company time? What does your gut tell you? Who cares what your gut says. It doesn’t know the answer. And with GPS tracking, you can just see for yourself. GPS tracking shows you the real-time location and speed of each of your field employees. You can make sure that everyone is doing exactly what you want them to do. Route4Me’s route planner even has a speed alert feature, which will automatically notify you whenever someone on your team breaks the speed limit. That will help you avoid tickets and keep your field employees safe. 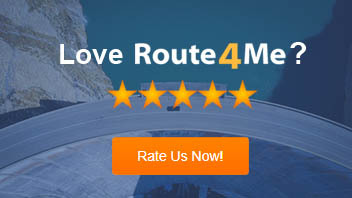 Route4Me also has a portal that allows you to share tracking data with your customers. This will reduce the volume of calls that your support team has to handle, since customers can just check on the status of your field employees themselves. Geofencing involves placing virtual perimeters around real-world locations, such as the addresses of your customers. Geofences automatically log every time your field employees enter and exit them, so they will no longer need to waste any time manually recording their check-in and check-out times for each visit. You can also set it up so that certain actions are performed whenever your field employee crosses through a geofence. For example, you can use geofences to automatically send your customers a message when your field employee is about to arrive. They’ll appreciate the notice! Check out this article to learn more about geofencing. GPS tracking enables Route4Me’s driver training course, Safety4Me, as well. No two field employees are exactly alike. They have different strengths and weaknesses. So why would you use the same approach to training for both of them? Safety4Me tracks each field employee’s driving behavior, and then it assigns them training modules based on the mistakes they make on the road (for example, if a field employee has a habit of speeding, they’ll be assigned a lesson on how to control their speed). Everyone learns exactly what they need to know. With this data, you’ll be able to make more informed decisions. It’s tempting to trust your gut when there’s money on the line. When you have a chance to sign a new customer, it probably feels right to move forward and get their money in your pocket as soon as possible. But there are a lot of expenses involved in field service. If you’re not careful, new business can cost you more than it’s worth. Route4Me’s mock routes feature is the solution to this problem. You can enter a set of addresses to see exactly how much a hypothetical route would cost you in fuel and wages. That way, you won’t bite off more than you can chew. When you do sign a new customer, you might just guess where you should put the stop in the order of an existing route. Route4Me’s Dynamic Stop Insertion feature can do better than that. 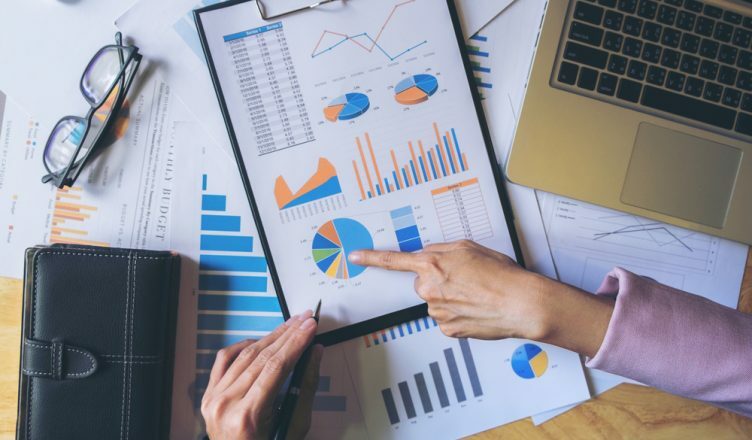 It crunches the numbers for you and shows you the best place for a new stop to go, so you can keep your expenses to a minimum and increase your profit margin. Check out this article to learn more about dynamic stop insertion. How can a GPS tracker improve your business? How does Safety4Me help you train your team?